The winners of the nobel prize in medicine: Carol Greider, Jack Szostak, and Elizabeth Blackburn. Quite coincidentally we’ve been on a bit of a longevity kick here at the hub. Among the posts discussing the Mprize, genetic changes extending mice life, resveratrol, obituaries for the world’s oldest person, and Blue Zones we must have struck a nerve in Sweden. On Monday October 5th, the Nobel Prize in Physiology or Medicine was awarded to three scientists “for the discovery of how chromosomes are protected by telomeres and the enzyme telomerase.” Telomeres, the sequence of DNA at the tips of chromosomes, and telomerase, the enzyme that makes telomeres are key in the process of cell aging. By recognizing this work, the Nobel Committee has highlighted the world’s growing interest in living longer and healthier. Human life expectancy has increased steadily over the last two centuries, from about 40 to a current worldwide estimate near 65. Most of the added years up to this point are due to improvements in nutrition, sanitation, and the treatment of infectious diseases. Right now, people live longer because we can treat many of the things that kill them. Moving forward, people will live longer because we will be able to treat aging itself. In the 21st century, lifespans are projected to increase dramatically with our children and grandchildren reaching life expectancies beyond 100 years. There may come a time when the understanding of aging is so complete that medical advances allow the life expectancy to increase by one year each year, effectively producing humans that may live forever. The three Nobel Prize winners all currently work in the US: Elizabeth Blackburn is at the University of California San Francisco, Jack Szostak is at Harvard Medical School, and Carol Greider is at John Hopkins University. In the late 70s/early 80s, Blackburn and Szostak each discovered that a repeated sequence at the end of chromosomes helped keep them together, and regulate cell division. 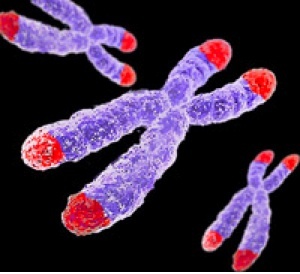 As a chromosome was copied many times, these telomeres got shorter and shorter and the cell aged. Greider later discovered that the enzyme (since named telomerase) was responsible for creating telomeres. Together, this research helped scientists understand one of the principle mechanics that explained how and why cells aged. It also became apparent that telomere malfunction was responsible for, or utilized by, some cancer cells so that they could live indefinitely. The work of Blackburn, Szostak, and Greider led to discoveries that increases in telomerase could delay cell death by facilitating telomere formation and/or repair. While a telomerase treatment has never been shown to extend the life of a human, its function in DNA regulation has informed the work of many scientists focused on preventing, curing, and treating aging.